Which Outdoor Adventures in Arizona are on your bucketlist? Arizona is a magnet for adventurers and sun-seekers, most following the pull of a few well-known places and exciting pursuits. Among the canyons and cactus there are plenty of options for exploration. When considering your next foray into the Arizona deserts, follow this Arizona bucketlist and find your next story off the tourist-beaten path. Arizona’s terrain is varied and colorful, one mile is desert and another lush pine forest. In the northeast corner of the state in the deserts of the Navajo Nation, you will find some of the most iconic and unique rock formations in the western United States – the mittens of Monument Valley. This land is part of a Navajo Tribal Park and quite remote. Some hope to camp in sight of the rock spires, others are just passing through. 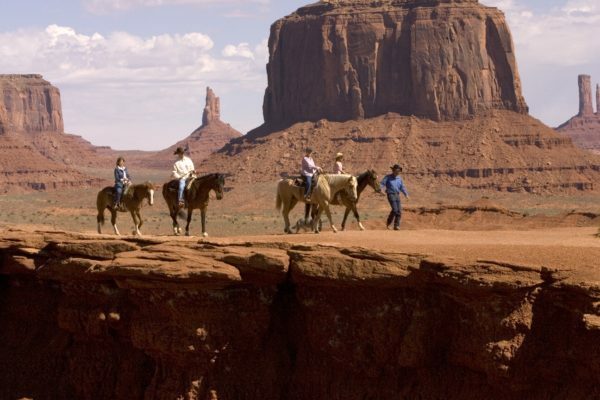 A visit to Monument Valley should be on every Arizona explorer’s bucketlist. Be sure to plan some time to look around and respect the land and the tribes who call this area sacred. Take a hike, take a photo, leave no trace. Thousands of Las Vegas visitors flock to helicopter pads each year for a quick flight over Grand Canyon’s western reaches. Take a different approach and enjoy a fixed-wing narrated scenic flight beginning in Scottsdale, soaring over the famous red rock cliffs of Sedona, then cruising high above the most intricate twists and turns of Grand Canyon National Park before landing at Grand Canyon airport to experience the park on foot. Follow a local Grand Canyon hiking guide into the canyon along the iconic South Kaibab trail. Over 8000 feet above sea level is the lush pine and aspen forest of Grand Canyon’s North Rim. Every adventurer should visit Grand Canyon at some point in life, and the way to do it is camping here on the remote North Rim. Access to the North Rim poses something of a challenge but also creates a sense that you have the canyon all to yourself. A lack of light pollution makes for some of the best starry skies in the Southwest. 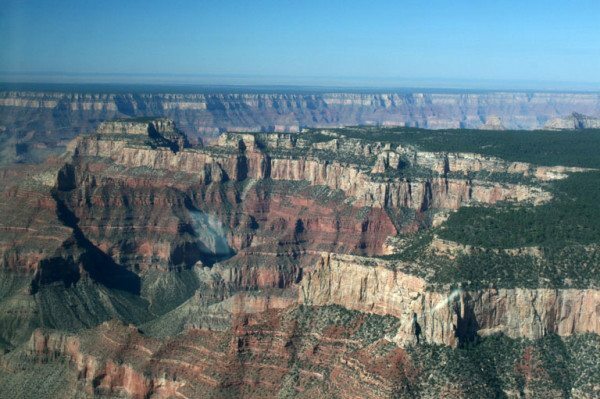 Whether biking on the Rainbow Rim trail or descending into the canyon on foot, the North Rim creates the best opportunity to get to the Grand Canyon. Water is sacred in the desert of Arizona. The rivers feed the landscape, the wildlife, and the people who make their home among the giant saguaro cactus. The Salt River is the lifeblood of the Sonoran Desert and a kayak tour down this calm and picturesque waterway is a must for any traveler intrigued by the harsh landscape and the plants and animals that call it home. 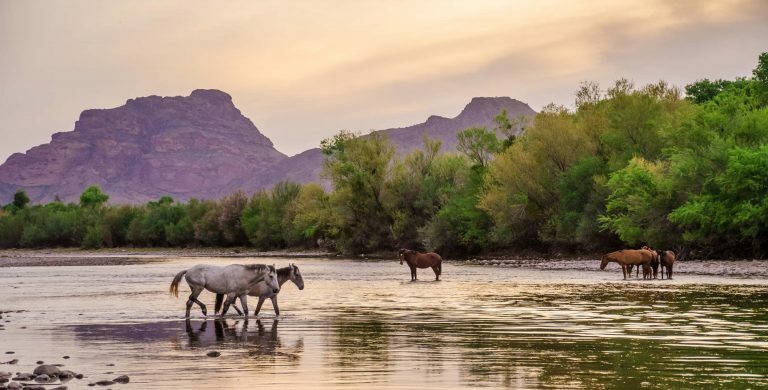 Paddle along towering cliff-faces beneath desert willow and cottonwood trees and keep a lookout for the beautiful Salt River Wild Horses. Arizona’s southern border stretches through curious and expansive desert landscapes. Dirt roads snake off in every direction, flanked by stands of stately organ pipe cactus. In 1976, this area was declared a UNESCO biosphere reserve reflecting the uniqueness of the region. After over a decade of closure due to border security concerns, the park reopened in 2014 allowing visitors to once again explore this wild desert landscape. Those dirt roads call to adventurist cyclists from across the globe, riding through the organ pipe cactus forest should be on every bikepacker’s bucketlist. 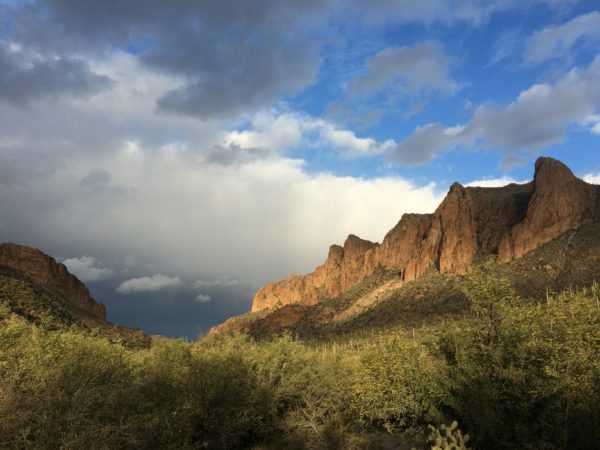 The Superstition Mountain Wilderness outside Phoenix is steeped in history and lore. For many, these craggy peaks and deep canyons are a dream winter backpacking destination. It’s easy to get lost in the unexpected valleys or confused by the seemingly similar tufa rock formations, and many have before. This land is known for a legend of a lost gold mine and people still seek the mother lode deep in the rocky landscape. A wide variety of cactus, leafy trees, and wildlife soften the edges of rock spires and jagged cliff-faces, enticing you to come relax beneath a shady tree at the end of your long day’s hike. In early spring the ground is a carpet of wildflowers and seasonal streams course through deep canyons, days are warm and nights are brisk. Allow at least 3 days to soak in your surrounds, but don’t miss the Superstitions on your Arizona adventures. (pictured at top) Deep in the bottom of Havasu Canyon, on the western edge of the Grand Canyon, the shocking blue path of Havasu Creek carves its way through sandstone cliffs to meet the Colorado River. 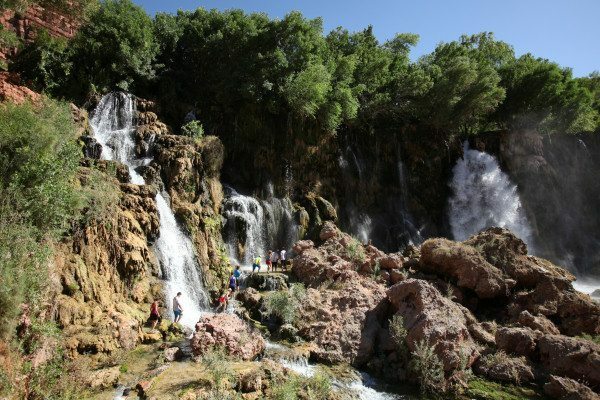 A trip to see 100 ft tall Havasu Falls and the other waterfalls in this canyon is a once-in-a-lifetime experience. The trail to reach this part of the canyon requires a hot and dry 10-mile hike and a least a night of camping. Stay a while and experience the magic of Havasu Creek, swim in sparkling plunge pools and explore the riparian paradise of cottonwood trees, bighorn sheep, and condors soaring above.